Cancer is a term that inspires a broad range of feelings: from fear, anger, and helplessness to curiosity and determination. As a force, cancer has given rise to a massive infrastructure of clinical and cultural responses, many are highly visible. We see people wearing wrist bands, doing walks and rides and celebrities talking about cancer. Most of the energy is focused on prevention and research. For example, breast cancer main push for prevention is in the form of mammograms. So if 100% of women in the US between the ages of 35 and 75 had regular mammograms how would this affect US cancer rates? Answer: Not in the slightest degree, except for the factor of applying ionizing radiation to breast tissue in otherwise healthy women. Breast cancer rates would naturally go up. Mammograms don’t prevent cancer; they detect cancer that is already there. Are we truly looking for a cure? A cure is defined as a “course of treatment to restore health.” So if that is the case then seeking a cure would be not investigating new treatments for sick people, but seeking to enhance health and find the cause of the disease so future generations are less likely to contract the disease. Screening only detects disease that is already present and therefore has failed to be prevented. Since congress declared war on cancer in 1971 we have spent over $30 trillion dollars on cancer research and 1,220,100 new cancers were diagnosed in 2000. Over 1,500 people die every day from cancer so where is the money going and how effective are we? Despite the 3 billion dollars spent by the American Cancer Society since its inception in 1946, worldwide deaths from cancer are expected to rise from 6.7 million in 2002 to 10.4 million in 2020. The National Ovarian Cancer Coalition gave these options for reducing the risk of this disease: go on the pill (despite the known and unknown side affects), have a tubal ligation, have a hysterectomy, have an oophorectomy and breastfeed your children. There is no mention about diet, environmental, lifestyle, mental or emotional factors that are available to keep women safe. Not a word about what women can do to prevent the disease outside of drugs and surgery. It’s ironic that millions of dollars over decades have failed to find a correlation between diet, exercise, mental health, social conditions, and environmental factors, including toxins and pharmaceutical drugs, or quality of life on any other level and developing cancer. There is an obvious conflict of interest between the pharmaceutical companies, doctors and those who sign and pass legislation. These facts make it easy to raise question about the relationships between the pharmaceutical industry and the declarations that disease is “inevitable.” There is a very one myopic view based on the limited paradigm of the medical industry, one who has a goal of not health and wellness but rather the treating of disease, and that is why one must follow the trail of the all mighty dollar. As bad as it sounds there are people in this world that stand to lose a lot of money if an actual cure and or cause was determined. Cancer is a trillion dollar industry and quite frankly there are more people profiting from cancer then there are dying because of it. This should make one very skeptical in regards to the idea of prevention. Most people feel that they get sick and get cancer. Well first of all you don’t get sick you do sick. 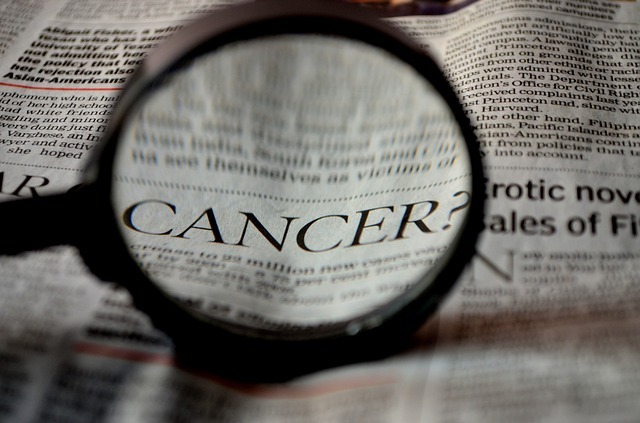 Only about 5% to 10% of cancers are clearly hereditary. The remainders are not hereditary, but result from damage to genes (mutations) that occur throughout one’s lifetime. Cancer is a manifestation of a predicating sickness. This idea of “sickness” is not limited to the individual, but it encompasses the local and global environment of which we interact. Despite the fact that if you are truly looking at prevention you must look at how you eat, move and think. Addressing the cause has never been the strong suit of medicine, since the beginning it has been about saving lives and postponing death. Modern medicine is very good at this but has failed at prevention, wellness and how the body functions as a whole not a separation of its parts. We must look outside the box in order to ask the proper questions about how to respond to the problem and how to protect our future generations. This is not just narrowing out the medical profession but we all need to be held to a higher standard. That standard should include being honest, genuine and accurate when using terms like “prevention” and “cure”. The treating of a disease is not a cure and screening is far from prevention. Treating people who have cancer and those raising money and signing legislation are noble things. But we should all be held to a higher standard when talking about prevention and cures. I would like to encourage folks to demand to know how they can restore their health and how they can prevent cancer in the first place and prevent generations to come from being affected by this deadly disease. We must understand the difference between enhancing health and preventing disease. Cancer research should look at known vectors for cancer and know methods for preventing and treating it, even if those methods are alternative, natural or holistic. Mainly not profit making to the pharmaceutical or medical industry. Which means public education campaigns would focus on telling us how to truly avoid cancer, what to eat, what to avoid and what alternative and traditional therapies are out there. Research has shown that by introducing lifestyle and dietary changes and adding regular chiropractic care to boost you immune system, your risk of contracting cancer decreases by as much as 75%. Immune competence of chiropractic patients were over 200 times stronger than others and 400% greater than those who already have cancer. We must look beyond the current paradigm of prevention and look at how we can avoid cancer and enhance the human potential and truly expand it on a physical, mental and spiritual level. What would a true cancer awareness month or walk or ride or public service look like if held to a higher or different standard? Many are dying to know.